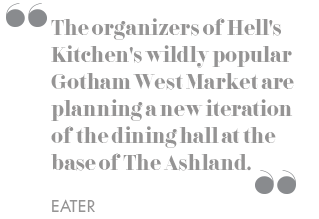 Gotham built upon the success of Gotham West Market with its newest venture, Gotham Market at The Ashland. Situated at the base of its newest residential tower in Fort Greene, Brooklyn, the 16,000 square foot market showcases multiple drinking and dining concepts, including a rotating pop-up space. 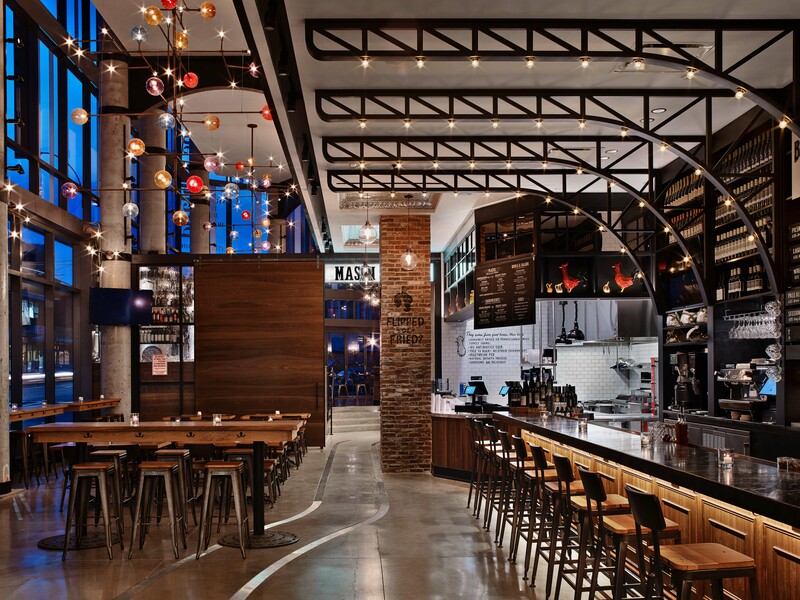 It brings a much needed culinary and entertainment option to Brooklyn's Cultural District. 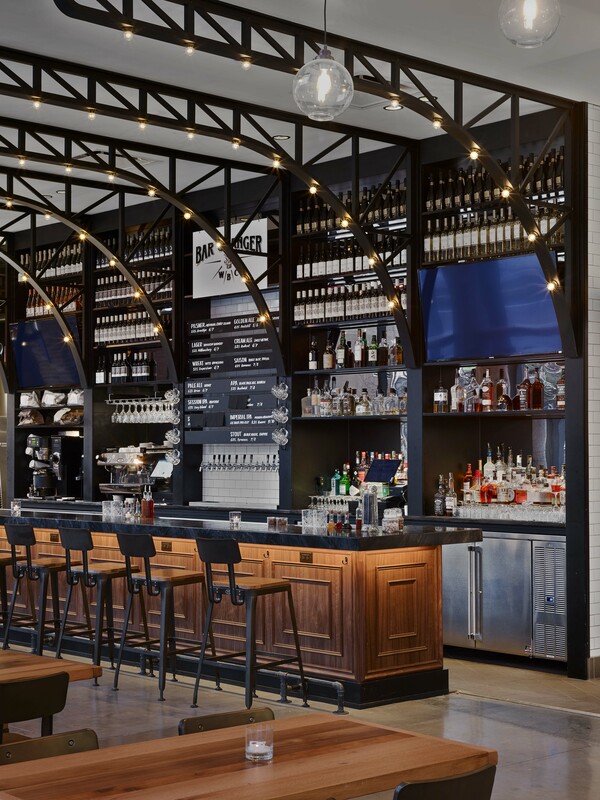 Designed by Jeffrey Beers International, Gotham Market at The Ashland pays tribute to the rich architectural history of Brooklyn with an industrial styled space and materials reminiscent of the borough’s history. 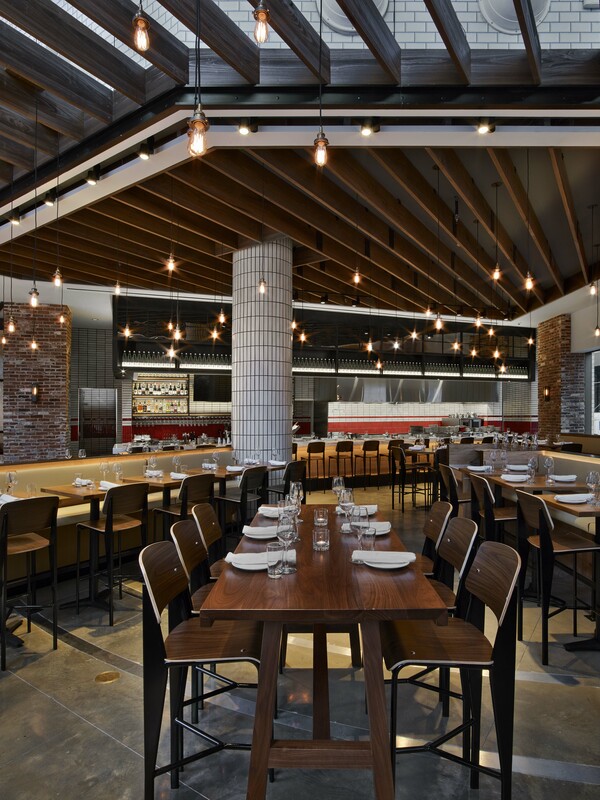 The market’s floor-to-ceiling windows create a sunlit backdrop for the market's illuminated counters with materials such as exposed concrete, brick, white subway tiles and reclaimed wood. 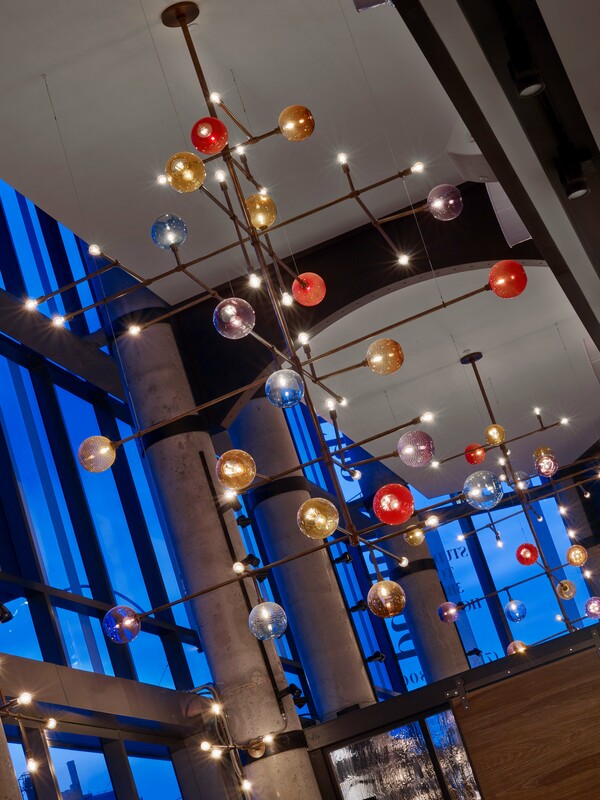 A 26-foot high entrance atrium features black steel pipe chandeliers with 180 hand-blown glass globes created by artists at the neighboring Urban Glass studios.